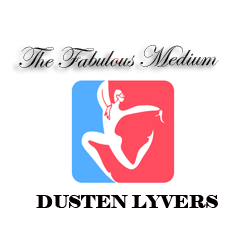 Mission Statement | Welcome to Dusten Lyvers' Official Website! Dusten Lyvers owner of Dusten Lyvers, LLC is a man of principle who stands next to his convictions and does what he believes is right. Dusten believes it is a privilege to be able to deliver messages and evidence that loved ones have safely crossed-over to the other side, and he tries his best to avoid anything that could potentially harm others. Dusten is a true healer, and he is always on the lookout for any educational opportunity that could be used to help his clients along their healing process. Dusten hopes to bridge the fields of Mental Health, Spirituality, and Mediumship to better help people heal and enhance their journeys. Thank you for believing in him and his mission.